Islamic Self Help was founded by Shaykh Ismail Kamdar in April 2015 as a resource to help Muslims grow professionally and tap into their true potential. This in turn will lead to a generation of confident professional practicing Muslims who will lead the socio-economic revival of Islam, in shaa Allah. ​Visit Our eBook Store today. Over 3000 registered students in our learning academy. Access our online courses here. Glowing Reviews for our eBooks and online courses from industry leaders like Islamic Online University, Muslim Life Hackers and Sisters Magazine. Shaykh Abu Muawiyah Ismail Kamdar holds a Bachelors in Islamic Studies, and has been involved in the field of education and motivational speaking for over a decade. When I say that Ustadh Ismail Kamdar was, all things considered, the best teacher I had at Islamic Online University, and one of the best teachers I had the blessing of studying under, I am in no way exaggerating, as will be testified by hundreds of other IOU students, I'm sure. I really take Ustadh Ismail as a role model in character, patience, as a teacher, and as a writer who extracts productivity lessons from the Quran and Sunnah, and is qualified to do so by his long years of studying and teaching Islam. Sheikh Ismail Kamdar is highly professional, dedicated, disciplined and knowledgeable. 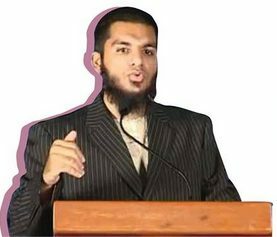 He is one of the very best tutors at the Islamic Online University. We got excellent feedback on him from his students also. I surely would recommend him!